If you haven't already noticed, the TRIBAL TREND is in! Welcome back! 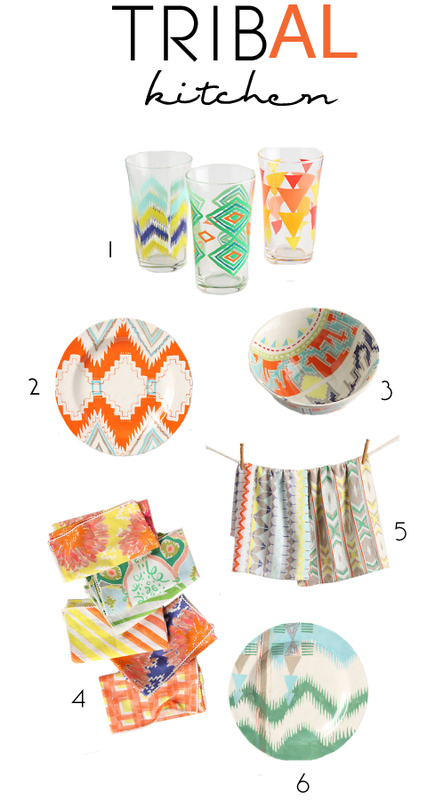 Drew here, showing you exactly what tribal pieces you should incorporate into your decor, as well as in your kitchen! Anthropologie is my number one spot to find home decor and they just so happen to be filled with strong, graphic prints that emulate the tribal culture. Adding these elements to your home conveys a warm and earthy tone look, while also providing an exotic twist. I love tribal prints! THat and iKat are my favs this summer! Loved this post! Drew that pillow (#3) is gorgeous! Checking it out right now, great post! I can never get enough of Anthropologie! I love the Summer colors for the glassware and plates. Oh how I love Anthro! Especially their global goodies they've been curating. Delightful! 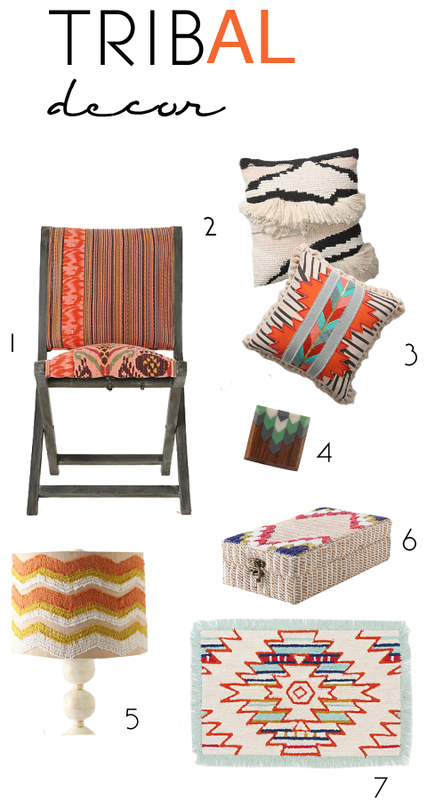 I love tribal accents in interior design...I'll have to check out Anthropologie soon! tribal is my thing - LOVES IT! AMIE: Ah! thanks - i didn't catch that. Just fixed it. Love! Especially that Anthropologie chair! I'm in love with all things tribal. Obsessed! These Anthro picks are splendid!! !